TEL AVIV (Sputnik) - The Israeli military said Monday that sirens used to warn of a possible air attack had been sounded in the country’s densely-populated central region. “Air-raid sirens sounded in central Israel,” the Israel Defence Forces tweeted. The sirens were heard in the areas north of Tel Aviv, which came under a rocket attack from the Gaza Strip enclave for the first time in four years earlier in March. Minutes after the sirens went out, Israeli military and police reported that a rocket hit an Israeli home north of Tel Aviv. Local health workers reported that at least six people have been injured by the missile strike. “Police have been alerted to a rocket strike on moshav Mishmeret. The rocket hit a house, setting it on fire,” it said in a statement. 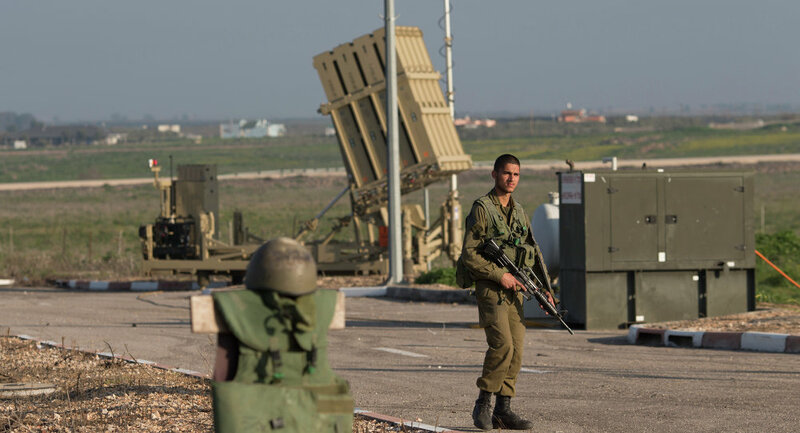 ​Israel has been activating its missile defence systems several times in this months due to the registered rocket launches from the Gaza Strip at Israeli territory. In the first week of March Israeli fighter jets conducted airstrike on several targets in Gaza after air attack sirens went off in the southern region of Israel bordering the Gaza Strip. This happened just the next day after the Israel Defence Forces stated a tank struck a Hamas outpost in the Gaza Strip in response to shelling against Israel from the territory of the enclave. Tensions between the Israelis and the Palestinians near the Gaza border have been mounting since last March, which marked the beginning of the Great March of Return. Moreover, in fall, the situation on the Gaza border escalated due to continued shelling and launches of arson balloons from Gaza into the Israeli territory.